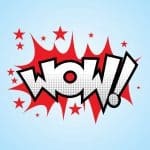 How would you like for your event to have as entertainment an act which will make your guests go “Aw!”, While applauding and laughing at the same time? The Olate Dogs might just be the perfect solution. Especially if you know for a fact your guests are crazy in love with pets. The show is a light-hearted family-friendly type of performance. It will instantly help your guests eliminate any stress and feel extremely good for attending your event. Did we get your attention? Read on to find out more. If you have watched the seventh season of the popular show America’s Got Talent, you will recognize them for sure. Yes, they are the winners! However, to understand the extent of their story, we need to take you on a ride down memory lane. Richard Olate was the second youngest child of a poor family in Chile with 21 brothers and sisters. One day, he found a stray dog on the streets. Richard took it home, fed it, took care of it and thought it tricks. He did the same thing with two other dogs. Back then, he did not have a clue about the Olate Dogs, but his love for animals, his patience and perseverance allowed him to support his family by the age of 12 through his dog shows. They became a real sensation in South America fast. Years passed by and Richard decided to take his dogs act on a “work trip” to the U.S. They were an instant success and had continued to do so for years to come. In case you missed their winning performance from the show’s seventh season, you should keep on reading. The million-dollar act is worth your time. We could describe it in words, but you would get a better idea by looking at the following video: Admit it; you watched that with a huge smile on your face. 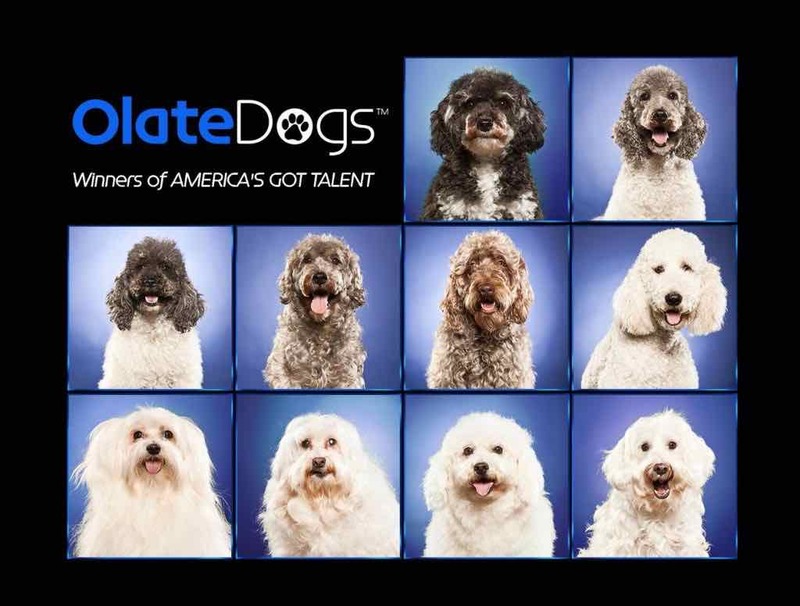 As Sharon Osbourne said, “that was pure love on the stage.” Because love is the essence of the entire Olate Dogs show. However, their love displayed during the performance managed to transcend through TV screens and reached the hearts of the whole world. That is what won them AGT’s one-million-dollar prize. The Olate Dogs are based in Houston, Texas. In total, they have 22 dogs. They have four distinct acts featuring a variety of tricks. 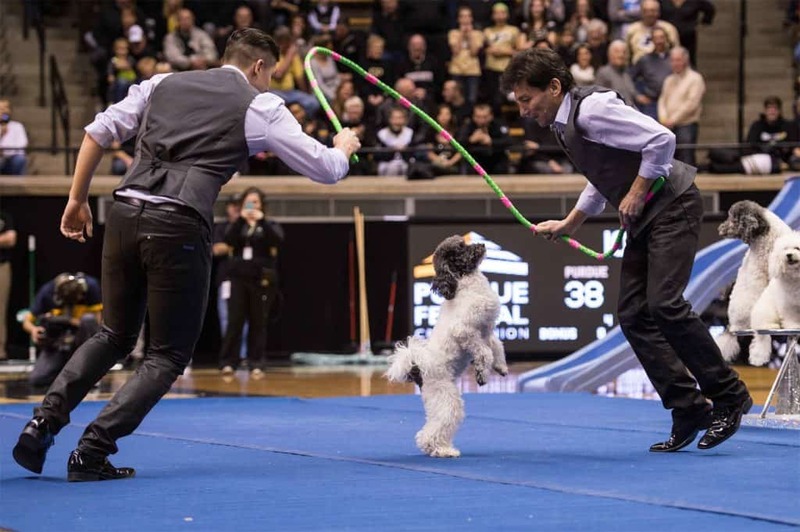 Each act is about 5 minutes long and features up to 10 dogs at a time. According to the Olates, the hardest trick is the back flip you have seen in the video clip above. Their act is perfect for multiple types of events: corporate events, product launch parties, charity events and more. However, the main benefit of booking them is any audience will like their performance, regardless of age, race, religion or other cultural differences. Your guests do not even need to speak the same language to enjoy this unique and exciting performance. Having the Olate Dogs as entertainment for your event will also boost attendance since they are quite famous. Interested in having them perform live at your event? Feel free to get in touch with The Grable Group or call us right away at 615-283-003.